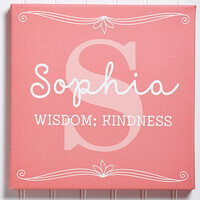 These super fun My Name Personalized Folders are perfect for school or home! 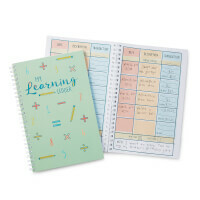 They will be the envy of their classmates with their very own personalized folders to store homework, class notes, or even the lines to their role in the school play! ColorKu is the popular game of Suduko in color. 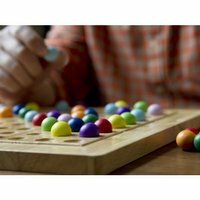 A solid wooden platform with 81 marbles in 9 colors, featuring 104 puzzle cards. 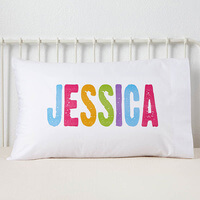 Celebrate their first name in a fun way and guarantee sweet dreams when they rest their head on our All Mine! Personalized Pillowcase! What better way to teach a kid about money! 100+ stocks to choose from. 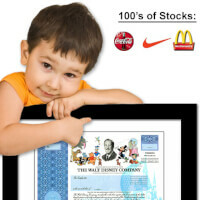 The recipient becomes a real shareholder and gets the stock certificate, annual reports and invites to shareholder meetings. Whether you find chemistry a bit "Boron" or have a dog named Promethium, you'll love the Elements Card Deck! 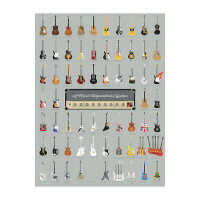 A mesmerizing memorizing aid for people ages 10 to adult, it features big, beautiful photographs of all 118 elements and scientific facts on the back of each one. 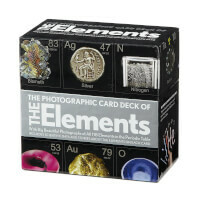 The deck also includes additional cards that explain the properties and arrangements of the elements and suggest activities to help you study. Get yours before they Argon! Made in China. 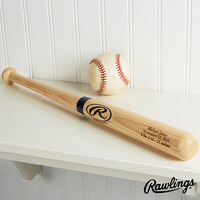 Hit a home-run with any baseball fan with our Write Your Own Personalized Mini Baseball Bat! 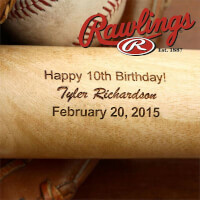 This mini bat makes a great end of season gift, gift for a coach, a birthday, and more! 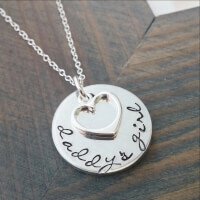 An adorable necklace for a Daddys Girl! A 3/4" disc is hand stamped with "daddy's girl" and is paired with a sterling silver heart charm, and hangs from an 18" sterling silver chain. 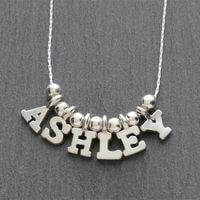 Up to 15 characters can fit around the disc if you'd rather make this a personalized necklace. All necklaces are made to order and packaged in a gift box. They are sure to make a splash at the beach or poolside with our fun All About Me Embroidered Beach Towels!Whether they are beach side or taking a dip in the pool, these towels are simply perfect for fun in the sun. 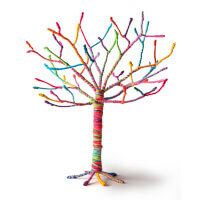 Give your kiddos a colorful way to branch out with this charming yarn tree kit. The perfect activity for rainy days and slumber parties, simply wrap the pre-assembled 18-inch wire tree with the included colorful yarn to create a storybook-worthy design that can display jewelry or dress up a dresser. Made in China. 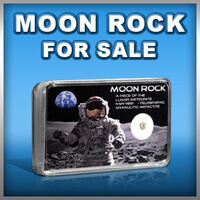 Now they can carry their currency in personalized style with our All Mine! 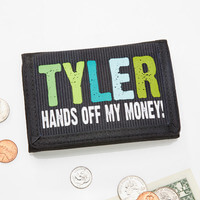 Personalized Wallet!Choose between between 2 color schemes and personalize the wallet with any name. Then add a 1-line message to be sure no one messes with their money! Tri-fold wallet holds their important cards, IDs, and money. Shaped like a classic galleon, this unique kite offers a little physics lesson with every flight: Ships' sails work on the same principle as airplanes' wings, propelling both along on the wind. 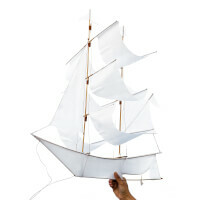 Each kite is handmade by Balinese artisans from nylon and locally sourced bamboo. They're designed to soar, but also make eye-catching decor in between flights. Handmade in Bali. 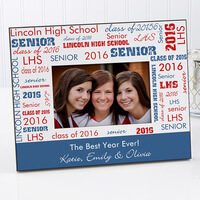 Our exclusive School Spirit Personalized Picture Frame features an artistic splash of any school colors. 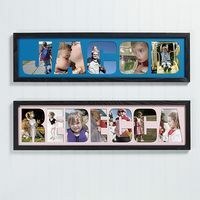 Choose from 8 different color options to create a personalized keepsake for that special student!We will then custom personalize the frame with their school name, class rank, year, and any sports or titles with special meanings! Add any 2 line message, to appear below the photo, as shown. 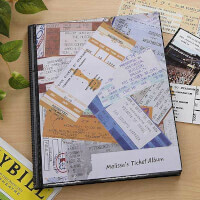 Makes a great gift for any student, graduate, and athlete too! Helping the environment can be part of their daily routine with our reusable Stencil Name Personalized Water Bottle! 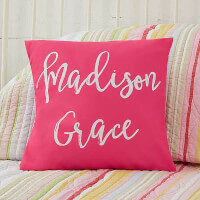 Personalized 14 Kids' Throw Pillow - Write Your..
Give your kid's bedroom décor a personal touch with our Write Your Own Kids Expressions Personalized Throw Pillow. 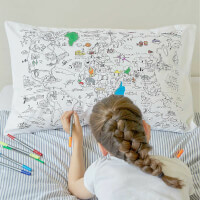 Each pillow allows you to display a cute and inspirational saying. Let them wrap themselves in quirky style with our Morning Motivation Personalized Bath Towel custom printed just for them! 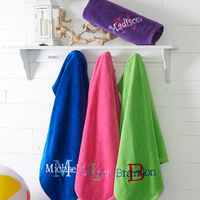 In your choice of 5 colors and 6 funny phrases we will personalize it with any name creating a trendy bath towel they will love to use. A fun piece for bath time! For Cameron and Rebecca Stern, jewelry-making is much like crafting a modern-day Wunderkammer. 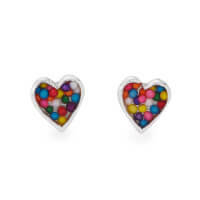 Collectors of tiny tributes to life in all its colorful glory, Cameron and Rebecca cast their sterling silver studs from 3D-printed molds and fill them with "specimens" engineered to induce joy, like the pinches of rainbow sprinkles seen here. The result? Bitsy earrings that are sure to put a smile on the face of your favorite foodie (or kid-at-heart). Handmade in New York. At 11 years old, kids are smack in the middle of your tween years - if you consider tween years start at 10 years old. They are developing fast and forming moral values that will last through their teen years. 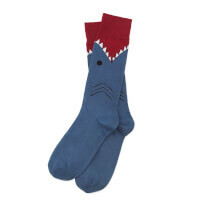 They are more matured and so are the gift choices for them. They dont enjoy toys and games as much as they used to. 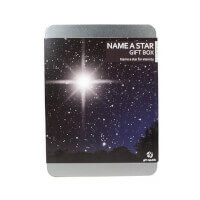 Instead, they are looking for fun or practical gifts that can help them with the day to day life - school, home or sports. They are also very fond of electronics and will stay fond of them for a long time.